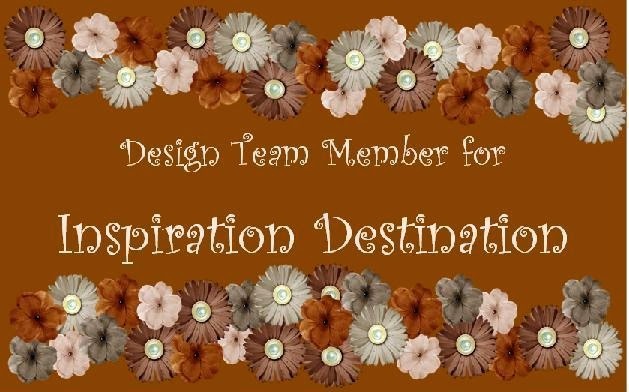 I used lots and lots of printed paper and card stock from my stash. The doilies and the three pearl beads are from Michael's. 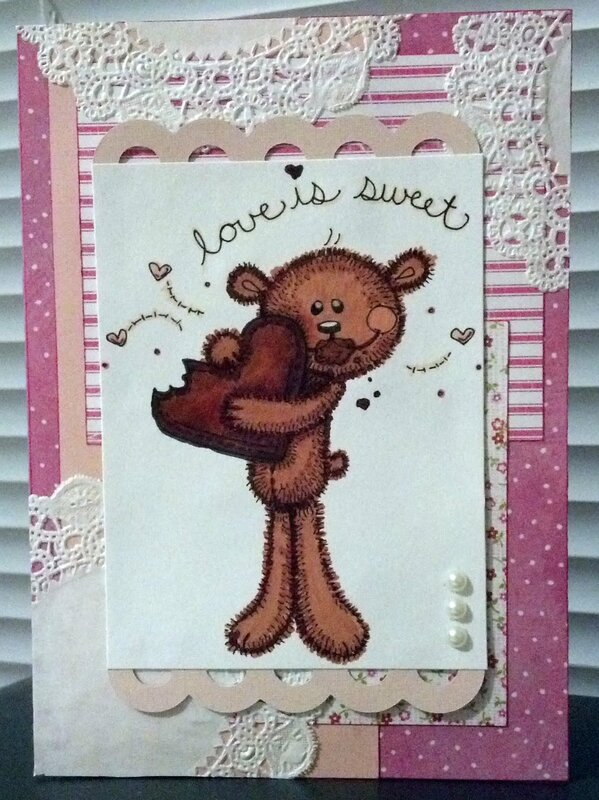 The image is a freebie called Love is Sweet I picked up from Meljen's Designs. I was not sure I could color something all one color and it would look right... but I forgot... I was working with Copic markers... :) ... and it looks divine! :) lol These are the Copic markers I used for the bear... E18, E15, E13. R20. The few hearts, sentiment and lines scattered about were filled in or outlined with R20.